We believe that to validate a breeding program, one must show. 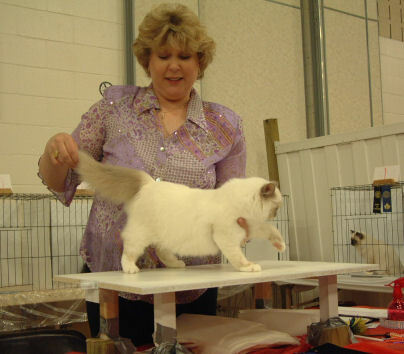 We do not believe that the difficult job of judging pedigree animals in infallible. We do however believe that one must have educated outside opinions of how closely we are following the standard. 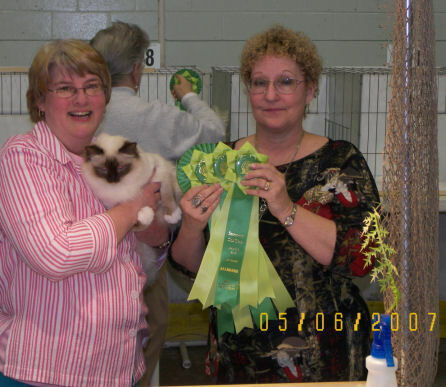 For this reason, you will see Zanadu cats at shows. 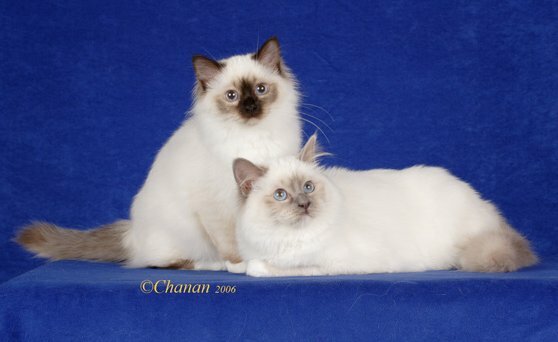 Besides, showing is fun and the comraderie of Birman breeders is wonderful. Here then are some of our cats that we have been showing recently. 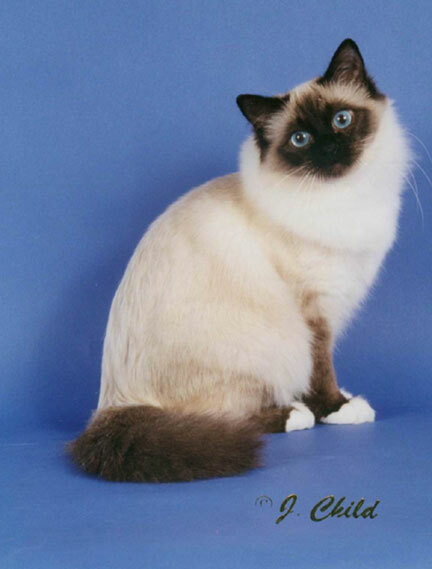 Jewell is an outstanding seal-point. She completed her championship and started collecting those grand points. After a career as a mother and grandmother of lovely kittens Jewell is once again out showing her stuff. Now spayed, she has completed her premiership title (same as champion but in altered classes) and will hopefully be picking up grand points toward her grand premiership.